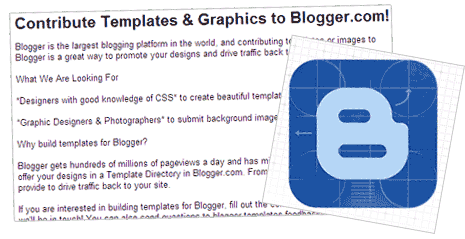 Are you a Blogger template coder or a graphics designer? Well, Blogger.com is looking for you and giving chance to feature your work on Blogger.com community. You can submit your Blogger templates and art work like gradients, backgrounds etc to Blogger.com team. Blogger team will review submissions and get your work featured in Template Directory at Blogger.com (which is yet to launch, isn’t it?). Your feature listing in template directory will send traffic to your website from loads of Blogger.com users. So if you have knack of making beautiful and neatly coded Blogger template, click here to submit details and get featured listing for your Blogger goodies.